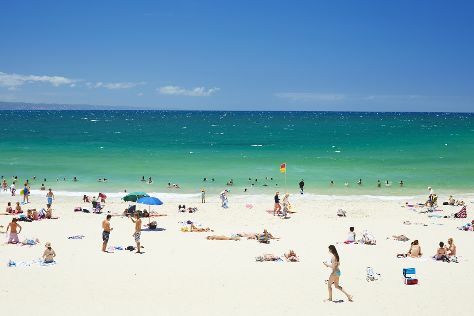 Known for its "green" development and north-facing beach, Noosa is a natural getaway. However, you won't have to sacrifice culture for nature because it is also the home of the Noosa Arts Theatre and the Noosa Long Weekend Festival. This festival of food, theater, dance, and music takes place partly surrounded by protected land in the form of National Parks, Conservation Parks, Forests, and other wonders. Nature preservation benefited from many years of isolation. Just 50 years ago, only a fishing village populated the land, due in large part to the difficulty of reaching the area. In the 1950s, tourism boomed and led to the area's growth. Noosa is in Sunshine Coast. Use Inspirock's suggestions to plan your Australia trip and find the best activities and attractions for your vacation.